This pattern is used to make a crib, lap, twin, full, queen or king size quilt. It calls for background fabric and 10" squares. A layer cake can be used to make a crib or lap size. A queen size takes 2 layer cakes. Pick your favorite layer cakes or make your own 10" squares from a variety of fabrics. Layer cakes available in the shop as well. 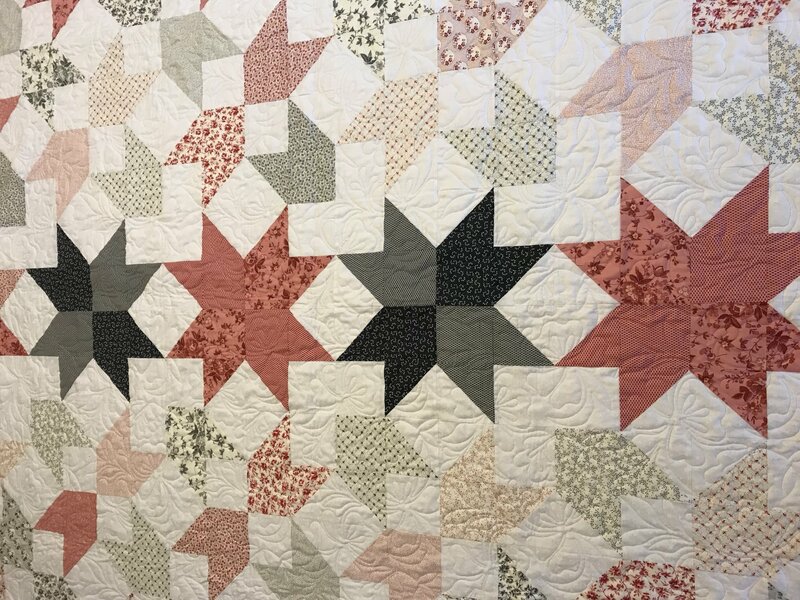 This pattern also requires the stripology squared ruler, to easily cut 4 squares at a time from the 10" blocks - 2 of those blocks are 1/2 square triangles.